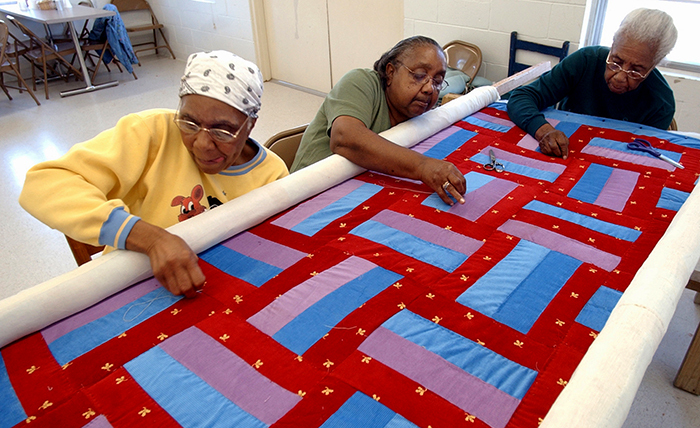 Gee's Bend quilters Lucy Marie Mingo, Nancy Pettway, and Arlonzia Pettway (from left) have toured the United States exhibiting their work. In August 2006, the U.S. Postal Service honored the quilters of Gee's Bend with a series of commemorative postage stamps.